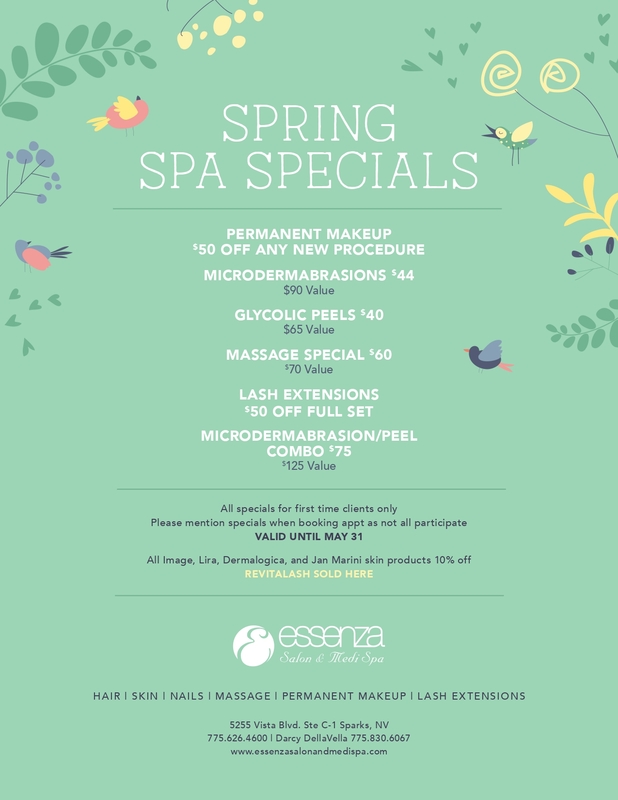 Welcome to Essenza Salon and Medi Spa. We are a 3300 sq. ft. Medi Spa and full service day spa and salon. We can customize a spa package for any occassion. Prices for botox and dermal fillers vary depending on the amount needed. Please call if you have any questions regarding the botox and dermal fillers. Please feel free to browse our entire site. If you have any questions or concerns, please call us at 775-626-4600. We are open 7 days a week, Sundays by appointment only. Click on the “Live Help” button to chat with our online receptionist who is available on Monday to Friday from 9 AM to 8 PM (EST). The online receptionist’s hours do not apply to the salon’s hours as our specialists set their own days and times. We are open 7 days a week (by appointment only on Sundays). The salon hours vary as our specialists set their own days and times. Please call for more information.